I did two castings of each wing in SmoothCast 325. This plastic is a slightly milky transparent and quite perfect if you want something that’ll look transparent, but really isn’t. I couldn’t make the wings totally transparent, as I was using a blue screen behind them. 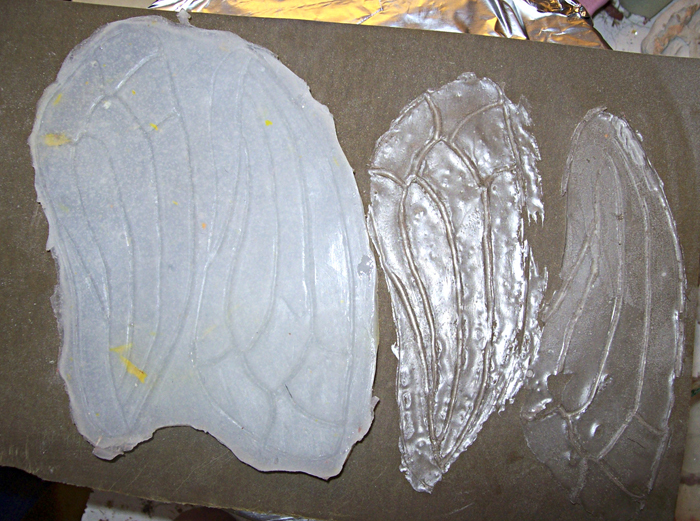 The wing castings were then pieced together using more plastic to make two wings.